On June 9, my mom passed away. Nine days later, my dad followed. My family and I buried them together on June 22, setting butterflies free as the sun set. My parents were my rock. They were always there for me and their mere presence made me feel safe no matter what the situation is. They also did everything they could to support me and my dreams. So when I lost both of them, I felt my entire world shatter into a thousand pieces. After the burial, I lost interest in everything. I didn’t want to see friends. I didn’t want to go out. I stopped reading books, watching movies and listening to my favorite music. Worse, I stopped writing. I tried to distract myself by working again, but it wasn’t long until I started feeling alone and uninspired. I fell into a routine of lying in bed all day, thinking, worrying and crying for my parents, especially for my mom whom I was very close with. I wasn’t prepared for her sudden passing. I don’t think anyone is prepared for death regardless of the person’s age or condition. Losing someone you love is absolutely painful that there seems to be no remedy for the heartache. One day, I decided to quit my job to travel. I once quit my job to pursue a life-long dream of traveling long term, but my recent excuse wasn’t about fulfilling a goal. I didn’t even know what the purpose was because I knew traveling will not bring my parents back. I just did it because I felt that I had nothing to lose. With a backpack, I spent two weeks traveling to a place already familiar to me: the Thailand-Cambodia-Vietnam route. I traveled this route way back in 2009, so I did question my decision to revisit these places knowing that I am used to exploring new territories. But I thought it was a good idea because I didn’t want to experience something “unfamiliar”. I was already in a state that was so unfamiliar to me that I wasn’t yet ready to deal with other things that would prevent me from facing my grief head on. After all, I didn’t think I could fully enjoy a new territory with visions of my mom in the ICU or my dad breathing his last still lingering in my head. The day before I left, I visited my therapist who shared with me a powerful word: SELF-CARE. I knew about it somehow, but it wasn’t something I took into heart. How can I with grief written all over my face? But this time, I decided to take heed and keep it close along with the memory of my parents. The trip, though familiar, turned out to be wonderful with all the beautiful sights and the people I met along the way. But there were times when I would break down especially during a bus ride, at night when I’m about to sleep, or when I’d see something that would remind me of my mom and dad such as a good bottle of wine or a couple holding hands. There were times too when I felt that my parents were with me in spirit. While in Ho Chi Minh, I went to a jazz bar in the tourist district. After playing a couple of standard jazz tunes, the band suddenly played a familiar melody. It was “Moon River”, my parents’ favorite song and the song that was played during their funeral. And on my dad’s 40th day while in Phnom Penh, Cambodia, I was enthralled by the presence of two butterflies following me. As they flew away, I looked at my right arm which was tattooed two weeks before the trip. The design? Two butterflies, one representing my mom with the date of her death and the other representing my dad with the date of his death. When I arrived home after the trip, I did something unexpected: I read my first book. After months of turning away from the things I loved, I finally picked up something I did not even think of picking up so soon. It was Sheryl Sandberg’s “Option B”. In the book, the Facebook COO writes about dealing with grief and finding joy again after the sudden death of her husband. She wrote something that struck me: “Self-compassion comes from recognizing that our imperfections are part of being human and those who can tap into it recover from hardship faster”. I saw self-compassion as something close to “self-care”, which I initially thought was just about doing things that you love or treating yourself to something good. But it occurred to me that it’s also about forgiving one’s self. 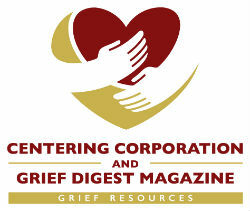 The heavy stages of grief –denial, anger, depression – can put a lot of pressure on us and break our spirits. But then, we are reminded that it’s okay to lose touch, to fail, to quit a job and sulk in bed all day and be broken. When I realized this, I eventually found myself listening to my favorite tunes again, laughing inside a movie theater again and hanging out with friends whom I have not seen for a long time. Best of all, I started writing again. Then I asked myself, did traveling save me? Did it make me realize how good life can be after a devastating loss? It did play a role. But I also know that everything I did, from crying myself to sleep to carrying that backpack, opened a door that has been shut close for months. Indeed, there is no one and only rule to finding your way back after being in the dark for so long. There is no one way to cope and definitely no absolute solution to the pain that one goes through when a loved one passes away. It’s really just about doing your best to live through each day no matter what it brings and realizing that it’s all part of the process. Ma. Patricia Yulo is a travel blogger and the author of "The 3rd World Traveler: A Guide to Fulfilling Your Travel Dreams on a Shoestring Budget", a book published in the Philippines. Visit her blog www.ricasrucksack.com to know more.